“Into the Wild” is the real story of Christopher McCandless, a young American who decided to roam the wilderness of the United States after graduating from university and who eventually died of starvation in Alaska, aged 24. Such read the postcard that Chris had mailed to a friend on 27 April 1992. Four months later, he was dead. His dream had been to live in the wilderness of Alaska, without any contact with or support by the outside world. Chris stumbled across a derelict bus (pictured on the cover of the book, above) which he made his home. From there, he set out to collect food and hunt animals. Chris had neither taken a compass, nor a lot of other useful gear. If it hadn’t been for a helpful gentleman who had given Chris a lift on the last leg of his hitch-hiking journey to Alaska, Chris wouldn’t even have had proper boots. – One thing that he did have plenty of stock though, were books, among them works by Henry David Thoreau, Boris Pasternak and Leo Tolstoy. The entries in Chris’ diary also show the influence of Jack London. “I have had a happy life and thank the Lord. Goodbye and may God bless you all!” is the entry in the diary, dated 12 August 1992. Chris felt that his body was weakening, that he was losing weight fast, that his end was near. On or shortly after this day, he died. Three weeks later, his body was discovered by a group of hunters. Had Chris still been alive, this encounter would have saved his life. To die three weeks before a potential rescue and after having walked off into the wilderness a bit unprepared might be considered as a sad or silly thing. And maybe Alaska is really too dangerous for these kind of follies, especially for a kid that grew up in a Virginia suburb. But one shouldn’t judge a life by its end or its duration, but by its content. Chris may have had a short life, but he certainly had a fulfilled one: After graduating from university, at age 22, he gave away all his savings to charity and went on a road-trip around the United States. 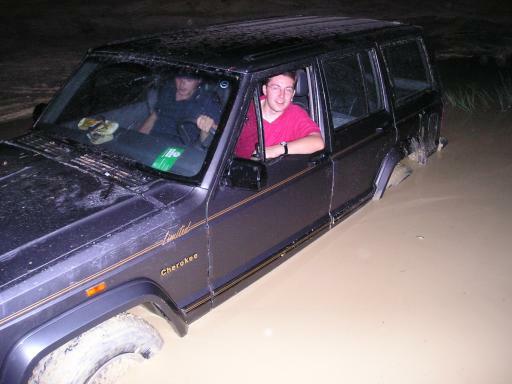 The car was lost to a flash flood, so he continued by walking, hitch-hiking and jumping freight trains. He crossed into Mexico by canoe and got lost in the canals there. He lived and worked on a farm in South Dakota for a while. He spent time in Arizona and California, sleeping in forests, on mountains, next to rivers and in the desert. But all the time he was dreaming of the big adventure in Alaska. The strongest parts of the book by Jon Krakauer are actually not the last months in Alaska (which had to be recreated based on Chris’ diary and the evidence found at the site of his death), but the memories of people whom Chris had met on his travels, with whom he had caught rides, worked and stayed. I was especially moved by the generosity of strangers and by Chris’ friendship with an old man, whom he managed to convince to (also) give up the monotonous life and take up adventure. These two years of travelling sound like a heck of a time! No obligations, no limitations, no expectations (at least not somebody else’s). Just exploring the world, life and yourself. That’s a life! – In contrast to that, what most of us do is just “passing time”. One annoying thing about the book: Jon Krakauer could not refuse to compare his own youth with that of Chris McCandless and insisted on writing about himself. Conveniently though, this is confined to two chapters of their own, which I could thus easily skip. Let’s hit “the road” again! Reading the story of Chris McCandless conjured up romantic feelings in me. I was reminded of many of my own adventures, from the Australian Outback to a hike along the Southern coast of France, from sleeping outside the city walls of Jerusalem because I had arrived in the city too late to find any open hotel to crossing the mountains from Lebanon to Syria in a snowstorm. But even more so, I realised how much I miss these adventures. – And I have vowed to take them up again! Living in England, I have decided to start by walking across the country, from coast to coast, this summer without sleeping in any man-made shelter. This entry was posted in Books, Death, Life, Philosophy, Travel, USA and tagged adventure, Alaska, Chris McCandless, Christopher McCandless, freedom, hiking, Jon Krakauer. Bookmark the permalink. Those who prance into danger, die in danger. I think he was a fool pulling off something like that unprepared. Reminds me of the idiots who go on mountains without proper equipment, who camp in areas where bears could attack them, etc. And then rescue teams have to risk their lives to get these idiots out of danger. Aka ignorant city people who should stay the hell out of nature and stick to watching it on discovery channel. He probably thought the wild was like in Bambi. I’ve seen enough of such idiots to utterly dislike them. I disagree with you, moutainbear. Who cares if he died from his adventure? He broke away from society and was free. People are all to often, bound by the chains of society and it is admirable when one can break free from the day to day “social norm” and do what their heart desires, not what is deemed as acceptable. I highly doubt he though the wild was like Bambi, I have nothing against your beliefs but at the same time, I feel like you most likely live in such a way that you will never experience the joy of adventure and the freedom that comes with breaking away from socially accepted lifestyle that people strive to lead. I remember feeling a strong sense of loss when I finished reading “Into the Wild” and can’t imagine the hurt and pain his family would feel. I also still feel disappointment – he was just so close to having a different outcome and perhaps this story need never been told, or not in this fashion at least. 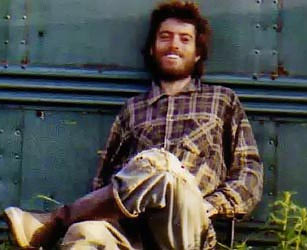 Christopher McCandless was a young man hungry to learn about life and live out his beliefs. But he was also a loner (but not a recluse), didn’t want intimacy or messy emotional baggage, there was an avoidance of relationships, he was a dreamer (not mechanically minded), and there were some commonsense gaps in his thinking. He was irrational with his parent/family relationships, and stubborn. But it seems unfair to write these criticisms or reflections as I believe it was a temporal thing for McCandless and something he would have worked through and moved from. He was driven to be his ‘own man’ and I think he would have progressed through his ‘kinks and chinks’ and been a more whole, balanced person by maybe about 30? McCandless is not that different from many of us, he just took more bold, extreme and stubborn steps on his journey. We all have taken/take risks but are still fortunate to be around to say that. I relate to his fascination with Jack London, and how he was influenced also by Anthony Storr’s book, “Solitude: a return to the self”. This is worthy of more reflective anaysis, and to counter those cheap shots of “he was just silly taking those risks and look what happened”. A Friday night hoon burning rubber and street racing he was not. To think that his family and those who loved him have missed out on seeing him come ‘full circle’ and the grief they must carry. Yes, Chris was a fool. Not because he went into the wild unprepared, but because the thing he sought, the thing we all seek, is not to be found by pitting ourselves against nature, denouncing materialism, etc. We can only find the key to “enlightenment” (call it any name you wish) by going within. Chris avoided looking at himself squarely. I understand; seeing our true selves is a frightening thing. A few notes made toward the end suggests that Chris may have finally begun to open his eyes. Too little, too late. If Chris did reach “enlightenment”, was it worth his life? Isn’t it better to use “enlightenment” to improve the lives of others instead of selfishly taking it to the grave with you? His father was no different. Walt looked toward money and career for peace and happiness. This, he thought, was the goal of existence. Like father, like son. Walt and Chris were both stubborn and foolish. Both paid dearly for their ignorance. I read this book for a college class. Our professor sees Chris as some sort of hero. I see him as a spoiled brat that threw the ultimate tantrum and died as a result. I think you’re being a tad harsh there Michael. You shouldn’t disrespect the dead or the people they leave behind. Honestly you’ve never met Chris or his father (seriously bringing the father into this?) so you really shouldn’t critique so harshly as to call what he did the “ultimate tantrum.” Also insulting another man’s beliefs really shows a lack of class and makes yourself out to be self-centered (which I’m sure you’re not). I have not read the book or seen the movie so I can’t say much but he seemed happy in the end saying he lived a happy life. Furthermore I don’t think he avoided looking at himself squarely at all.. to leave everything behind in my opinion was so that he could look inside and find himself and not be influenced by everything around him. If anything I think blindly following a random degree you get out of university, not knowing what you truly want, shows fear of finding yourself. Don’t get me wrong I’m not saying he made the smartest choice but if it brought him happiness in the end thats good for him I guess.. though tragic.. and I do feel sorry for his family (especially since he ceased contact with them from my understanding..). P.S. Selfishly taking enlightenment to the grave with you? You make it sound like he committed suicide… I am fairly sure he wanted to live but was simply ill-prepared and made some poor decisions (but I’ll read the book or see the movie before saying anything more). I personally can’t understnad the critisisms of Chris in regards to him not being prepared. He learned a fair amount (definately a sufficient enough amount to survive) about hunting and foraging. He knew enough about what he was doing. As for the lack of equipment, that was the whole point of the trip. To stip himself down to just him and see if he could survive, without the aid of maps or compasses or any of the other things that most outdoorsman would consider essential. He didn’t take the equipment because he didn’t want to rely on material possessions to help him survive. People always treat his adventure asthough it is a survival trip into the wilderness, and as such they fail to see the true purpose behind it. Everyone is so caught up in trying to find every single flaw in Chris’ ideals and point out how “stubborn” and “foolish” he was that they seem to forget that his only true gol was to break awak from the corruptions of society and human nature. It wasn’t him pitting himself against the wild to see if he could make it out the other side. For Chris it was a spiritual experience. The whole survival aspect was just a small part of his attempt to find himself and true happiness. And he succeeded in doing so. Yes, it cost him his life, but in his last few days he found what he was looking for and that made the trip worthwile for him. His last words are even him saying how he has lived a happy life. Regardless of what other pople’s views are on whether or not th trip was worth it, Chris most definately thought it was. What a gift that he has left for all to contemplate. He found his answers and peace when he realized that the journey was his purpose. His mother has left a care package in the bus 142 since her visit. She reminds all of us , to call our mothers. The message that all of us can also share through this beautiful boys lessons, IMHO. is to . consider others, love one another, accept , forgive and communicate . Because we are all on this rough journey together….. and we need one another . Love is fulfillment , enlightenment , and purpose ….when it begins within. What a beautiful life , ultimately shared with the world, through death. P.S. (His photos , journals, book notes , postcards and interactions suggest that he intuitively knew that he would be sharing his happiness in spirit.) And indeed, he lives on…. Just watched the film… AMAZING… going to read the book… you commented that in the book, the author couldn’t resist from telling stories about his own travels. Do you not think you did the same in your review, commenting about your travels in the australian outback etc??? Give the guy a break, pick the book up and read those chapters – I know i’m going too! I did write about my travels because my blog is more personal than a published book, and honestly because me reading a book is not as exciting by itself as Chris McCandless’ life is. If I was writing a book about such an exciting and impressive life, I wouldn’t find any space even for any of my own tales. Great review, will definitely get around to reading the book now. I’ve seen the movie a couple of times and think it’s brilliant. Cheers! ​The book Into The Wild dealt with many emotions that one usually tries to avoid in life. This book makes you reflect on your life choices. 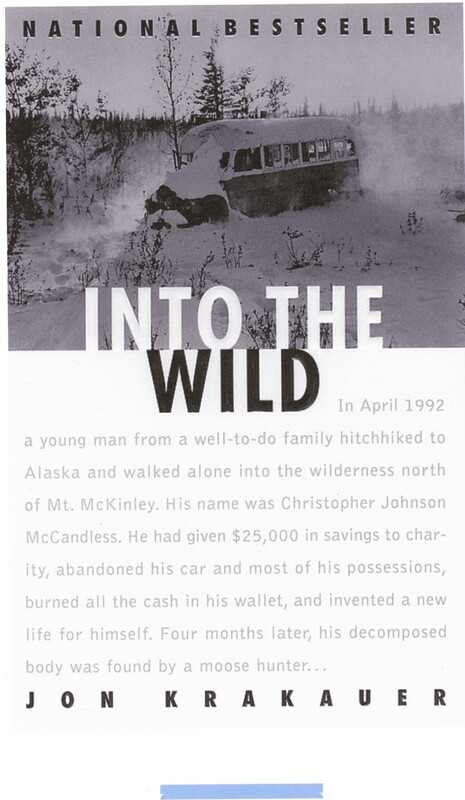 Into The Wild is about a young man named Chris Johnson McCandless. The book was so enticing every page made you want to keep reading. For example, Chris picking up and leaving right after he graduated from college, donating his $25,000 savings for law school to a charity, abandoning his car, burning all of his money, and finally ” into the wild!” Makes for quite an interesting read. ​Chris McCandles’s did what some of us can only daydream of doing, he gave away his earthly possessions to get closer to nature. Chris lived his life the way he wanted because he felt like there was no other way that felt right to him. He did not want to live like everyone else. He wanted to break free from all connections to anything that could control his life in any way, shape, or form. His dad was the first to cut from the list. Although Chris’s father wanted to give him anything he needed to succeed, Chris knew his father would never understand his desire for a different path. One Quote in particular comes to mind, “It is easy, when you are young, to believe that what you desire is no less than what you deserve, to assume that if you want something badly enough, it is your God-given right to have it.” (Ch 15) This quote symbolizes youth; how we live in fear of living out our true wants in life. I strongly believe that only a handful of people do what they truly desire in life. could make Chris smile. He didn’t need to be wrapped up in technology, money, and vanity. I believe Chris’s story inspired others to get out of their comfort zone and start an adventure of their own. ​Some of the emotions this book evokes are sadness, smiles, and joy. It evokes sadness when the people that knew Chris found out he was dead. Also, when his dad visits the site where Chris died. Mr. McCandless expresses emotion Chris never got to experience when he was alive. The book evokes smiles from Chris, he was very clever and witty like his parents described him. I felt joy at the end of the book because it made me feel like I could conquer so much and it instilled passion inside me! ​The part that I would change about the book would be the beginning. The author did an amazing job describing Chris’s life experiences, childhood, and relationships. The death happening so soon gives you a sense of disappointment. It is a lot to take in so soon into the book. One solution is to read this with a family member or a friend who you can discuss the book with. This book deserves a 9 out of 10 because the author made it easy for readers to relate to the characters in one way or the other. This is definitely a book I recommend to a friend graduating college who is maybe more introspective and prone to adventure. Society and it’s 2 cents. And this is why he left society look at all these comments so much opinions of people who don’t even know him. I am sometimes on the verge of doing the same when I read all the crap online and when I realize how much time I waste reading and responding to it.